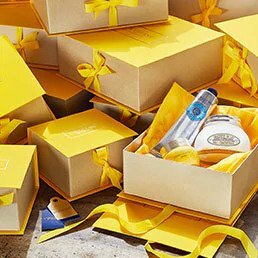 It is understood that legal entities of the L’OCCITANE Group (including Melvita) as well as other authorized third parties might save data for operational reasons. This includes that we might use a third-party service provider to serve advertisements on our behalf across the Internet and sometimes on this site. We (including the aforementioned service provider) may collect anonymous information about your visits to our website, and your interaction with our products and services. We might also use information about your visits to this and other websites to target advertisements for goods and services. This anonymous information is collected through the use of a pixel tag, which is industry standard technology used by most major websites. No personally identifiable information is collected or used in this process. They do not know the name, phone number, address, email address, or any personally identifying information about the user. All transactions at this online store are protected by SSL (Secure Sockets Layer) and Secure Data Encryption using a 1024-bit process. All credit card payments are processed in real-time for your security and immediate peace of mind. For payment options we accept Credit Card (MasterCard™ and Visa™) and MEPS FPX. This transaction will appear on your bank statement as a payment to L'OCCITANE MALAYSIA - purchases for L'OCCITANE. Any information that you send to us is encoded with Secure Sockets Layer (SSL) encryption technology. This sophisticated encryption process ensures that prying eyes are unable to decode your personal data when it travels from your computer to ours, and from our computer to the bank's. You can tell your browser is in secure mode in the checkout by looking for the padlock icon in the bottom corner or at the end of the address bar of your browser window. All rights reserved. Any text, images, graphics, sound files, animation files, video files, and their arrangement on this site are subject to copyright and other intellectual property protection. These objects may not be copied for commercial use or distribution, nor may these objects be modified or reposted to other sites. 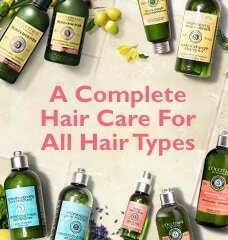 This site may also contain images that are allowed for use by L'OCCITANE MALAYSIA but are subject to third party copyrights. 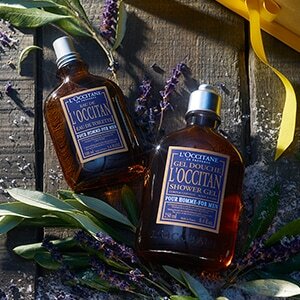 L'OCCITANE MALAYSIA is in no way responsible for any off-website pages or any other websites linked to or from the site. 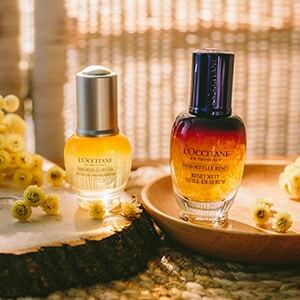 L'OCCITANE MALAYSIA disclaims all responsibility for the accuracy of any of the information provided on such linked sites and any goods or services provided or purchased from such sites. We do not endorse or control the User Content transmitted or posted on the site. Thus, we do not guarantee the accuracy, integrity or quality of User Content. Under no circumstances will we be liable in any way for any User Content, including, without limitation, for any errors or omissions in any User Content, or for any loss or damage of any kind incurred by you as a result of the use of any User Content transmitted, uploaded, posted, e-mailed or otherwise made available via the site. In a situation where the National language conflicts with the English language, the English language shall prevail.